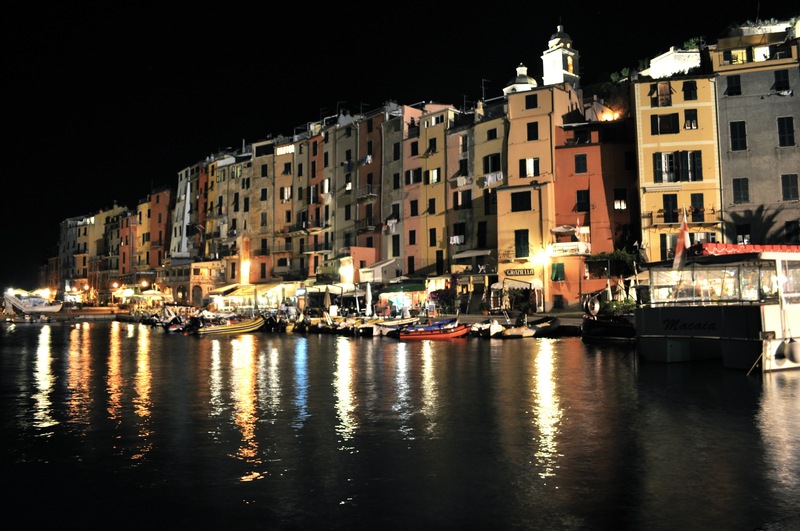 Italians dine late, usually starting around 9pm and even later during the summer. Many guidebooks recommend going to a restaurant around 7:00pm to ensure you have a table; what they don’t tell you is that it is because the restaurant is a ghost town at this hour. So how is it that Italians can last so long between lunch and dinner? Aperitivo. It is my favorite time of day, the Italian equivalent of Happy Hour. It lasts for several hours between work and dinner in at most bars in every Italian town. The process is simple: walk in, order a drink, grab a plate and help yourself to whatever is at the bar. Salami, fresh bread, a variety of spreads, chips, nuts, cheeses, olives, etc. Sit at a table on the piazza, chat with a friend, and enjoy. Feel free to grab seconds. All for the price of a cocktail, which can be as cheap as 2.00€. For a backpacker, this is as cheap as dinner gets. 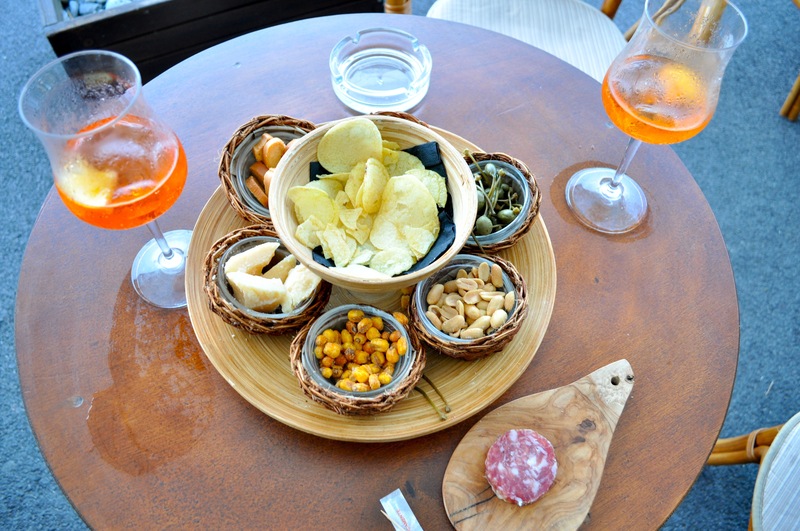 My favorite aperitivo (photo above) thus far was in Portovenere, a small coastal town 30km south of the more famous Cinque Terre. Stunning scenery, gorgeous sunset, a calm sea, and a great aperitivo overlooking it all – another little Italian slice of heaven. This entry was posted on August 9, 2011 by Katie. It was filed under Italy, Lifestyle & Hobby, Tuscany .